This is a 15-part series explaining the spiritual purpose of relationships, friendships, significant others, relatives, confrontations, ego, love, happiness and energy balance. This series of classes explains things about relationships that are often misunderstood. It covers the spiritual purpose of relationships, communication, gifts and challenges, friendships, significant others, relatives, confrontation, love, happiness, ego, energy balance, wisdom understandings, and includes explanations about the Quantum Healing CDs that help improve the quality of all types of relationships. Relationships part 1 reveals the underlining purpose of relationships from a spiritual perspective. The discussion touches on the illusions of searching for love, feeling complete and connecting to love. It explains realizing the love within, spiritual growth, support, challenge, balance, life values, oversoul wisdom and much more. Relationships part 2 reveals understandings about communication that are often overlooked. Having deeper knowledge of human interactions will improve the effectiveness of your communication for all types of relationships. Relationships part 3 offers a method of deciding who should and who should not be in your life. It helps you clearly identify the worthwhile people who enrich your life and how to let go of those who do not. Even though it’s mostly about picking your friends, it’s also a valuable way of observing all people in your life. Relationships part 4: Some people just seem to be impossible. This section on difficult relationships explains valuable details on how to effectively handle those challenging personalities. Relationships part 5 offers rather esoteric information that effects all types of relationships. Shad discusses the value of contrast, life purpose contracts, soul growth, positive expansion through self-awareness and very specific understandings about the ego. Relationships part 6: Navigating Your Life. This section is about what to pay attention to so that your can steer your life toward preferred realities. Topics include happiness, success, higher vibrations, consciousness, focus, feeling emotions, the quality of experiences, spiritual growth, universal feedback, knowing yourself, loving yourself and ten specific tips for success. Relationships part 7 answers a students question about confrontation within a relationship. The response may seem a little unusual in some places, but intricacies are taken into consideration that can bring new ways of looking at things. Ego, fear, control, externalization, courage, being heard and wisdom are also discussed. Happiness is an inside job. This section of the Relationships series highlights serious considerations that can make huge differences in your life. Topics include co-dependency, avoidance, control issues, disappointment, failure, fear, commitment, giving up power, self-love, spiritual evolution, expectation, self-realization, and more. There are also several noteworthy success tips for bringing higher levels of happiness into your life and your relationships. This section discusses the balance of energy in relationships. Topics include equal exchange, boredom, pushing agendas, life force energy, giving and taking, resentment, flow of love, worthiness, disappointment, appreciation, spiritual growth, karma, neediness, co-dependency, expectation, negativity, denial, defensiveness and loving relationships. This section from the Relationship series covers some little known yet very interesting insight on family relationships. There is a bigger picture from a spiritual point of view that is worth knowing about, because it explains many of the issues that normally show up in the family dynamics. And of course knowledge is power. Most of the time when people talk about relationships they are referring to a significant other. This video investigates what is meaningful and what is not; including why relationships fall apart, the illusions of seeking love, states of consciousness, self love, personal fulfillment, acceptance, resonance in the universe, attachment to outcomes, perception of emptiness, quality of love, attraction, happiness, thoughts, feelings, spiraling energy and more. This section of the Relationships series presents 16 noteworthy philosophies to bring you the wisdom understandings that increase the quality of love in your life. 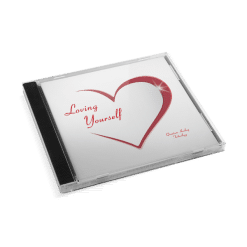 The first of three bundles of Quantum Healing CDs for improving relationships are explained, including how each one specifically helps. 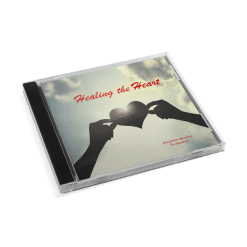 The second of three bundles of Quantum Healing CDs for improving relationships are explained, including how each one specifically helps. 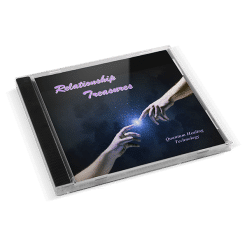 The third of three bundles of Quantum Healing CDs for improving relationships are explained, including how each one specifically helps.